The field of electrical and computer engineering is revolutionizing technology and impacting diverse areas such as agriculture, environmental monitoring, forestry, health care, renewable energy and robotics. Oregon State offers several focus areas shown on the tabs below. The ECE curriculum includes hand-on learning in which students to apply their knowledge of electrical and computer engineering to create their own robot. In an introductory class, students build a TekBot and as they progress through the program they add more functions to their robot. Adding a CS minor: A minor in computer science can be easily added to an ECE major. If planned correctly, ECE students can obtain their CS minor with one extra CS course that does not go toward their ECE major. See more details on the CS minor option page. Note: All engineering programs require admittance to pro school program, to review requirements for pro-school visit the COE advising page. Rapid advances in computing power and networking are driving the revolution in mobile technology, video streaming and wireless networks. The computer and network track addresses the issues related to architecture, programming, and communication of computing devices, which include computers, handheld devices, and sensors. Study of computer systems involves digital design, microcomputer architecture, and high-level and assembly language programming. Computer networking deals with the design of protocols that enable multiple computers/devices to communicate effectively over a wired or wireless medium. 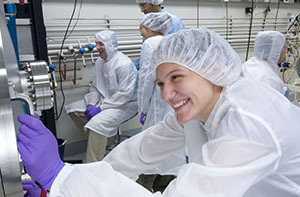 OSU offers unique opportunities to work with faculty on advanced systems and work with internationally leading companies in this area. Employment opportunities include all electronics and software companies with computing and communication products. Embedded systems engineer: Design and build "light weight" computer systems that function within a larger system. Work for companies such as Intel, Garmin, Hewlett Packard, Tektronix, Planar Systems. Computer networks engineer: Design, implement and maintain wired and wireless computer networks for high availability and security. Work for companies such as Cisco, HP, Google, IBM. Computer architecture engineer: Design, simulate and implement low-level computer subsystems. Define how such systems interact to provide high performance. Work for companies including Intel and Nvidia. Digital logic designer: Design, simulate and implement application specific integrated circuits. Work for companies such as Intel, Micron Technology, Nvidia, Marvell, and Tektronix. Test engineer: Design and implement test systems and strategies to ensure proper and reliable operation of electroic products. Work for such companies as Tektronix, Intel, Planar Systems, Garmin and Micron Technologies. Smaller and faster integrated circuits have revolutionized electronics for a broad range of applications from cell phones to pacemakers. Integrated circuits are miniaturized electronic circuits (both active transistor devices as well as passive components) that have been manufactured on a single semiconductor substrate. Due to continual manufacturing technology improvements, the physical size of these transistors continues to decrease — resulting in improved transistor performance in addition to the integration of more functionality for a given substrate area. The study of integrated circuits consists of designing new circuit topologies, analysis, and experimentation to take advantage of these new transistor improvements. 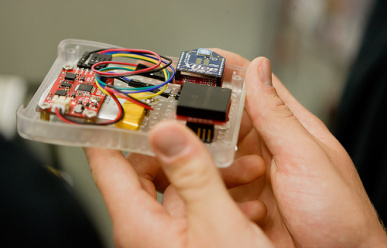 Oregon State has one of the top programs in the country in analog integrated circuits emphasizing sensors, energy harvesting, communications devices for applications ranging from the Internet of Things to power systems. Employment opportunities include engineering jobs to build new circuits and architectures for next generation computing platforms, including consumer electronics (i.e. cell phones, gaming consoles, MP3 players) and desktop/laptop computers (i.e. microprocessors). Innovations in the area of material and devices are the starting point for future advances in electronics. Improvements in microprocessors speed, solar cell efficiency, and data storage capacity, for example, all depend on advancements in electronic materials and revolutionary device design. This area focuses on how semiconductor devices (such as transistors, diodes, LEDs, solar cells and sensors) work and how they are built. Introductory courses explain the important characteristics and properties of electronic materials: semiconductors, metals and insulators; and how these materials are used to make electronic components and integrated circuits. Higher level courses specialize in particular areas such as optoelectronics, semiconductor processing, magnetics, sensors or nanotechnology. In the undergraduate semiconductor fabrication laboratory, students get hands-on experience with semiconductor processing equipment in the “clean room” to fabricate working diodes and transistors. The OSU faculty members in this area are recognized internationally for their innovation and impact – from discovering new materials to founding new companies. Undergraduate students interested in pursuing a graduate degree are encouraged to talk to the faculty member about gaining valuable experience as undergraduate research assistants in the Materials and Devices laboratories. Device engineer: models and designs electronic devices to meet performance requirements such as power consumption, operating voltage and integrated chip area. Process engineer: develops and maintains the manufacturing process for integrated circuits, displays, or other electronic components. Equipment engineer: designs tools to build electronic components and to measure their properties (electrical, optical, magnetic, thermal or mechanical). Integration engineer: responsible for systems-level testing and optimization. Test engineer: develops and applies test protocols for materials and devices during the course of production. Yield-reliability engineer: ensures that integrated circuits and electronic devices can be produced repeatably in manufacturing with minimal defects. Product engineer: develops products, using knowledge of device design, testing and manufacturing. Sales engineer: explains the capabilities and advantages of a company’s products or services to potential customers. RF, microwave and optoelectronics deals with circuits, devices and systems operating at high frequencies. RF/Microwave components are a key part of both wireless and wireline communication and radar systems. 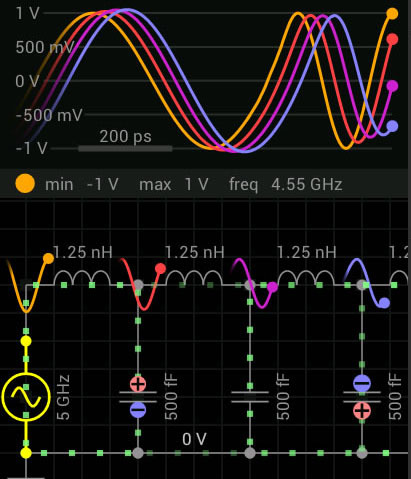 Knowledge of high-frequency circuit/device design is critical for applications such as cellular phones, WLAN, high-speed Ethernet and collision-avoidance radar. Optoelectronics is the study and design of electronic devices that interact with light. Examples of such devices include the semiconductor lasers used in CD players and fiber optic communications, lasers used in medicine and micromachining, and the image sensors found in digital cameras. Students in this focus area will learn the basics of semiconductor electronic devices as well as optics, lasers, guided-wave optics, and active/passive high-frequency integrated circuit design. Oregon State faculty work with graduate and undergraduate students to perform advanced research in this area. Career opportunities include circuit design companies making cellular/WLAN chipsets, large consumer electronics companies (DVD players, digital cameras, digital projects, displays, etc. ), telecom fiber companies, and many small companies specializing in optical devices and wireless systems for diverse applications in civilian and military technology. RFIC designer: design high-frequency circuits in integrated technologies. Microwave design engineer: work on components such as antennas, couplers, amplifiers for civilian and military applications. Test engineer: testing high-frequency components and ensuring that products meet federal and industry standards. Photonics engineer: create and improve systems that utilize lasers, optics, fiber optics and imaging devices. Optical systems designer: develop systems that use various optical components such as lenses, microscopes, telescopes, fiber optic cabling and optical disks. Optical communications engineer: develop systems focused on fiber optic communication. Robots have helped humans explore space and the deep oceans, and their use is expanding into healthcare, farming, food preparation, manufacturing, and even education. Robotics is a multidisciplinary area that combines electrical engineering, mechanical engineering and computer science. This area includes embedded programming, control systems, automated decision making, and power electronics. These disciplines must work together to sense, think, and act (the core properties of a robotic system). 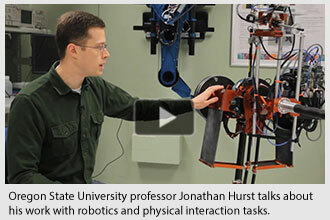 Robotics topic opportunities include computer vision, artificial intelligence, robotic dynamics, and human-robot interaction. The world-class robotics group at Oregon State is innovating in areas such as bipedal robots that can walk and run in changing terrain. Employment opportunity range from industrial automation, designing control systems for non-robotic systems (like airplanes), and researching advances necessary to make robotics a commercially viable industry (such as iRobot). There are several companies that currently offer job opportunities locally, but many companies are located throughout the nation. Field service engineer: Service automated manufacturing systems in the field; work for companies like Hitachi. See video of the Applied Robotics class. Advances in technology are improving capabilities of analyzing diverse information sources such as audio (speech, acoustics, music), image (video, multimedia, medical scans), medical signals (heart rate, blood pressure, brain activity) and remote sensing data (geophysical, radar, sonar). Examples of systems that manipulate signals are speech recognition, video streaming, cellular networks and medical scans such as MRI. The disciplines of signal and image processing are concerned with the analysis and synthesis of signals and their interaction with systems. In communications, the objective is to transfer information (signals) from one or many sources to one or many destinations, which requires the design of transmission schemes (e.g., modulation and coding), receivers, and filters. The Signal Systems and Communications area covers the fundamentals of analog and digital signals and systems, the mathematical tools for the analysis of deterministic and random signals, and applications to digital signal processing, digital image processing, and digital/analog communications. 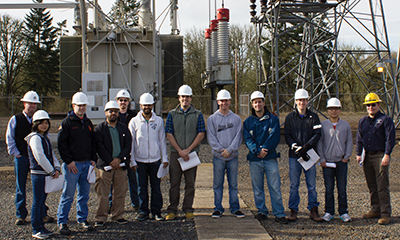 Oregon State faculty in signals and communications specialize in areas such as wired and wireless communications, ecological and medical research, cellular communication, data and information sharing. Employment opportunities range across a large variety of areas such as the cellphone industry, fiber optic communications, ADSL and broadband cable communications, sound and audio engineering, speech recognition, medical imaging systems (X-Rays, CT, MRI, PET), DSP hardware and software design, printing industry, digital displays (CRT, LCD, plasma), digital cameras and camcorders, image compression standards (JPEG, MPEG). Communication engineer: design, develop and maintain communications systems for companies like Broadcom and Cisco, or national labs like Lawrence Livermore National Laboratory, MIT Lincoln Labs, or MITRE.